Third Man is happy to announce the contents of our 30th Vault package, our final offering of 2016. 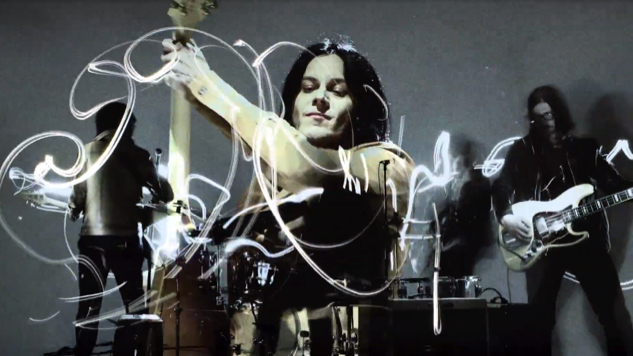 This time around we wanted to showcase something special from every one of Jack White’s wide berth of musical projects, as well as some really cool extras from a pretty special event that fans were able to catch a glimpse of during Sunday’s Anthony Bourdain Parts Unknown Nashville episode, but weren’t able to hear in full. We got so excited putting this package together we decided to break with tradition and offer 2 full LPs for the first time. 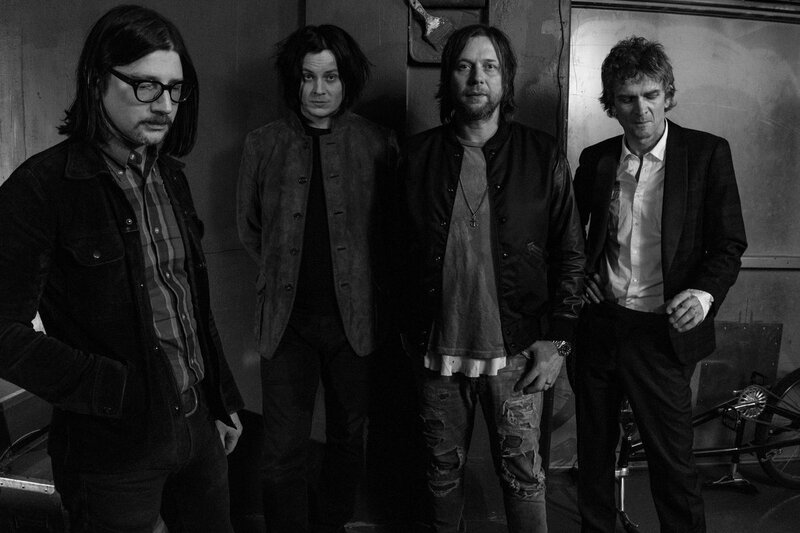 It’s been just over ten years since the first Raconteurs show on American soil. This release celebrates that momentous occasion with another hard slab of wax from the infamous Third Man Records tape vaults. Featuring cover art inspired by the original concert poster by long time visual collaborator Rob Jones, and featuring a set of songs that would prove to be classics, this album is a solid testament to the early fury and energy of those nascent and exciting times when The Raconteurs were first introduced to the world on the live stage. Two previously unheard, beautiful, and haunting Jack White compositions recently released on the Jack White Acoustic Recordings 1998-2016 compilation paired together for this Vault only blue and red splatter 7″ vinyl in a heavy paper stock sleeve. This will be the only physical version of this 7″ available… ever. Jack and Third Man Records have also announced a special, limited edition colored vinyl version of JACK WHITE ACOUSTIC RECORDINGS 1998-2016. The 180-gram double LP on blue vinyl with black and white wisps will be available exclusively at Third Man Records’ Nashville and Cass Corridor, Detroit storefronts (along with brand new Jack White merchandise) on the September 9th release day. This colored pressing will be the only limited edition version of the record that is produced. Plan to join us in person on release day to celebrate this incredible compilation. Additional details will be announced throughout the week. This new acoustic mix of “Carolina Drama” omits the drums and places focus on the complimentary acoustic elements. 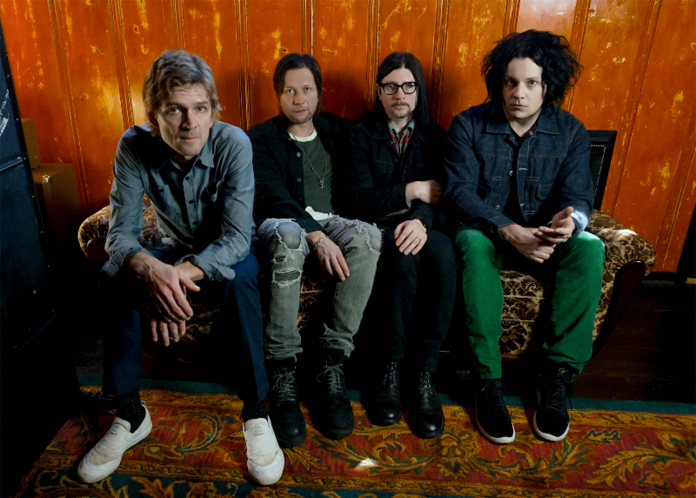 The original version of the song appeared on The Raconteurs second studio album “Consolers of the Lonely” released in 2008.